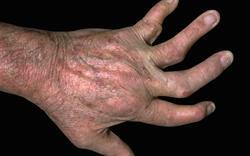 Prescribers treating patients with moderate to severe plaque psoriasis can now consider dimethyl fumarate (Skilarence) as a licensed oral treatment option for adults needing systemic therapy. Skilarence can be prescribed as first-line induction therapy and long-term maintenance treatment for moderate to severe plaque psoriasis. 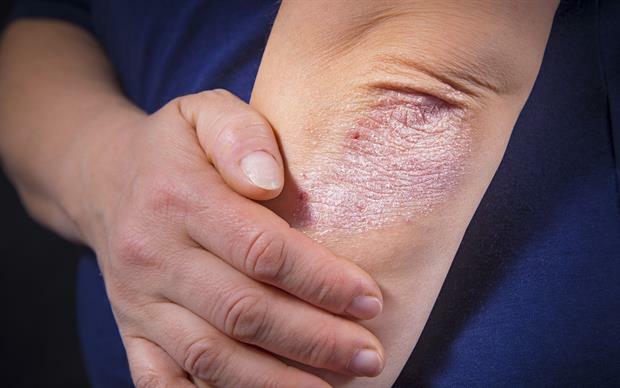 A fixed-dose combination of dimethyl fumarate with other fumaric acid esters, known as Fumaderm, is already used as an unlicensed product in the UK in some patients whose psoriasis has not responded to other treatments. Dimethyl fumarate as a single agent is already available as Tecfidera for the treatment of multiple sclerosis. The anti-inflammatory and immunomodulating effects of dimethyl fumarate are not fully understood but are thought to involve a shift in T helper cells from the Th1 and Th17 phenotypes to the Th2 phenotype, with a resultant decrease in the production of inflammatory cytokines and inhibition of keratinocyte proliferation. To improve tolerability, Skilarence is started at a low dose of 30mg once daily and increased gradually over 9 weeks to a maximum of 240mg three times daily. Evidence supporting the approval of dimethyl fumarate for the treatment of moderate to severe chronic plaque psoriasis comes from the randomised, double-blind, placebo- and active-controlled phase III BRIDGE trial in 671 patients. Results showed dimethyl fumarate was superior to placebo and non-inferior to Fumaderm in terms of the co-primary endpoints, ie, the percentage of patients achieving ≥75% improvement in Psoriasis Area and Severity Index (PASI 75) and the percentage achieving a score of 'clear' or 'almost clear' in the Physician's Global Assessment (PGA), both assessed at week 16. After 16 weeks of treatment, 37.5% of patients treated with dimethyl fumarate achieved PASI 75, compared with 15.3% of those receiving placebo (p less than 0.001 for superiority) and 40.3% of those receiving Fumaderm (p less than 0.001 for non-inferiority). Overall, 33% of patients treated with dimethyl fumarate were 'clear' or 'almost clear' in the PGA at week 16, compared with 13.0% of those receiving placebo (p less than 0.0001 for superiority) and 37.4% of those receiving Fumaderm. Treatment-emergent adverse events occurred in 83.9% and 84.1% of patients in the dimethyl fumarate and Fumaderm groups, respectively, and in 59.9% of patients in the placebo group. The majority were considered mild in intensity and did not lead to discontinuation of study treatment. The most frequently reported adverse reactions to dimethyl fumarate were gastrointestinal disorders including diarrhoea, abdominal pain, nausea and flatulence (62.7%), flushing (18.3%) and lymphopenia (10.0%).